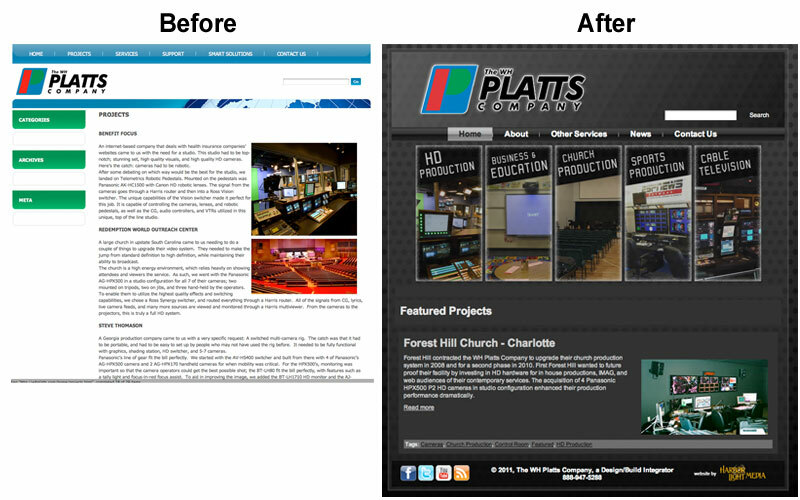 Description: The client had a website that was holding them back and needed something that conveyed the hi-tech professionalism that embodies what they sell and the service they provide. Their previous site was essentially a brochure, containing general statements about the products and services they provide, but with few specifics and with no case studies or client references. HLM constructed a completely new drupal-based website that gives them a very hi-tech look and also adds much more functionality to the site. The new site allows the client to easily add new projects and case studies as they are completed, along with photographs, video, and downloadable documents. It divides the services they provide into the five primary areas, allowing potential customers to quickly find what they're looking for and see examples of the kind of work WH Platts can do for them.